*Rankings calculated after removing Cascadians from USA/Canada’s non-team medal count. *Effect of team medals in rankings noted due to some team members coming from outside Cascadia. 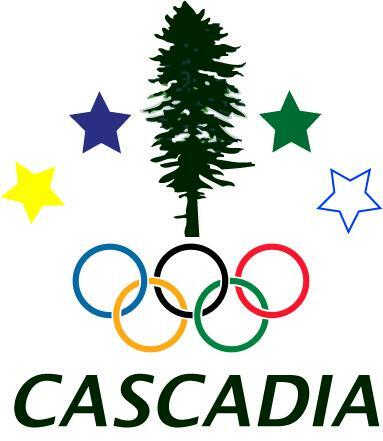 This just got me thinking, has anyone thought about forming a Cascadia Soccer Federation and a Cascadia team to send to the VIVA World Cup? (The VIVA World Cup non-FIFA communities and nations – Google “NF Board” or “VIVA World Cup”). All we need is a federation and a team. Participating in the VIVA World Cup doesn’t change national team eligibility and teams like the Catunya and Basque “national” teams compete in non-FIFA competitions. Having a team that unites BC, WA and OR would certainly help the cause, especially if they are good. I could see a number of local and international stories coming from our participation. All of which would put the focus on the cause for Cascadia. If the current US and Canadian national team players turn us down we could always put together a team of the best players from Cascadia (I’ve seen some VERY good players at the All Nations Cup here in Seattle). Or we could simply merge ECS FC, Timbers Army FC and Southsiders FC if they would be down for representing Cascadia on the same team. Plenty of options for players. As for the federation, that’s not as hard to put together as it sounds. If you look at the poster here http://www.nf-board.com/pdf/Plaquette_en.pdf you’ll see that the Buffalo River Dene Nation put together a federation and team. If they can do it, so can we. What do you think? Email me at cascadiafootball@gmail.com if you want to dig into this. I am willing to help out in any way you might want. I am also pretty good at organizing and convincing people.